Autism Research and Resources of Oregon (ARROAutism) is a non-profit organization dedicated, in part, to developing, and maintaining, the ARROAutism Westside Family and Community Center so it can continue to provide the Autism community with a place to meet, share ideas, offer support, and provide autism-related services. Financial support for the Center is derived entirely from Donations from the community, from corporate sponsors, and through fun filled events like annual Sean’s Run from Autism, Arrtism Pirate Run, as well as events including lectures, panel discussions and more. 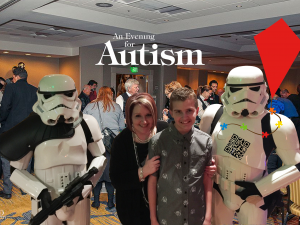 Your contribution today can ensure the continuation of ARROAutism’s Mission; to produce and promote a center of excellence in the field of Autism research and services in the state of Oregon. This entry was posted in Fundraisers, Mission, News and Updates, Westside Family and Community Center. Bookmark the permalink.